Most of us already have everything at home to do this adorable fun art project. Actually, these stamps cost no money at all and that’s my kind of kid craft! Just save a bunch of paper towel and or toilet paper rolls to use as your stampers. Something we usually throw away can be an exciting fun project that kids of all ages will love. Maxwell, my toddler was the tester of these stamps and he had a blast. 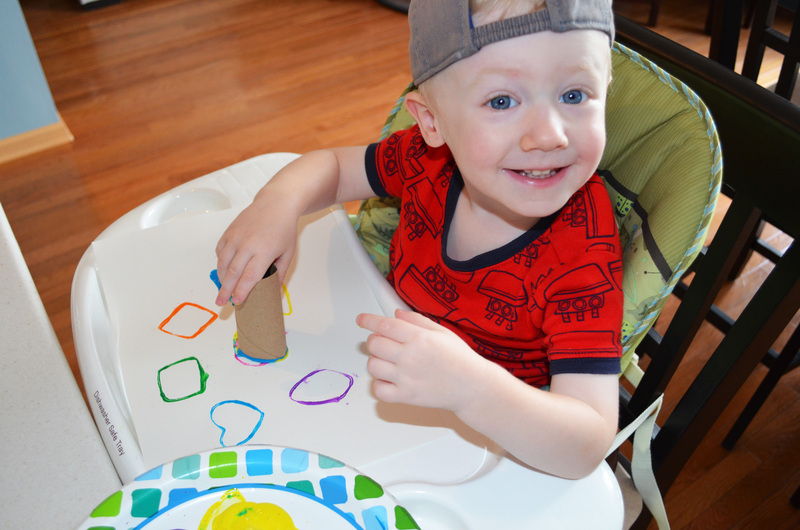 At the end of Maxwell’s educational craft of learning shapes and colors, I let him go and make a huge mess of art with the stampers and paint. This is over all a very successful and inexpensive craft everyone will love. Give child paper and dip the shape into the paint, stamp your heart away! 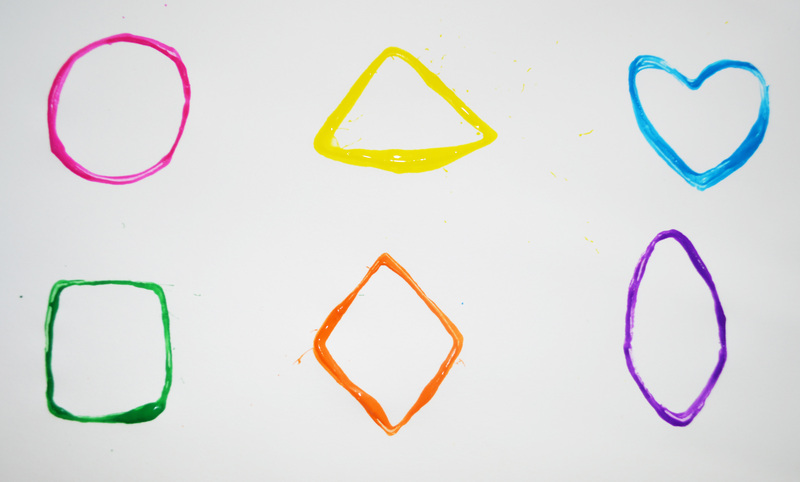 Here are the 6 shapes I molded by pinching different ends of the paper roll.